Products Reviewed for all Equines. Horse, Horses, Pony, Ponies, Donkey, Donkeys, Mule, Mules, Zebra, all the Equine, we love them all. We want equipment and products that work well for them and for us too. We plan to try out new products as well as equipment that has been on the market for years and give our opinions of the items here on this site. To have a bank of information on Equine Equipment that is available with a couple of "clicks". Thanks for visiting our Website. It is a brand new website that we hope grows by leaps and bounds! We are planning to have Equine Product Reviews here so that you can have an idea of how an item of tack worked for someone that rides/drives/packs before you buy the items for your own animals or for your self. Or it might be a review on a Magazine Subscription, how equine charms hung on earrings, a necklace or Rhythm Beads. It might be how a set of dishes with horse pictures on them washed after using, or a equine shaped magnet stayed on our vehicles. Are you looking for new Riding Boots buy have wide feet, or narrow feet or average width feet? We might have some ideas of which type of boots might fit you best. The Equine Products might be anything equine related, not just tack. Products that are horse, donkey, mule, even zebra related or for the love of (such as clothing and other household items). WOULD YOU LIKE YOUR PRODUCT HIGHLIGHTED ON THE FRONT PAGE OF THIS SITE? Every Product is Highlighted on this site not only on the page of interest is pertains to but also in the Banner Ad. However, if you would like for your product to also be featured on this Front Page, keep reading. If you have a Equine Related Product that you would like have Reviewed on this site, please send us an email with "PRODUCT FOR REVIEW" in the subject line to marna@equineproductreview.com No product is too small or too large. 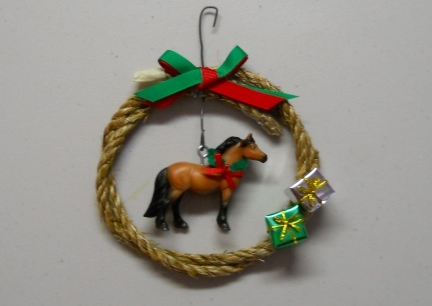 If you have an Equine Related Keychain or pair of Earrings we will review them. If you have a Horse Trailer you would like to have Reviewed, we can do that too. If you would like to see your product(s) on the This Front Page, just simply send three items a like to be tested on or with Horse, Donkey, and Mule. You will see your product photo on our animals. If your items is not for the animal, but for the farm or for people to wear, send one for owners of each Horse, Donkey and Mule, and you will still see it on the Front Page of this site. WHY HAVE YOUR PRODUCT REVIEWED HERE WHEN YOU CAN ADVERTISE ON OTHER SITES? If you have your products reviewed by us you will receive far more then just a little bitty advertising web ad. You/Buyers will see your product being used on equine in photos/perhaps videos, you will have a flashing ad on this site, AND the product testers/reviewers are on many forums and will be talking about your products. Mostly, your products will be out and about on the equine, or the people riding them/showing them, so that people can see your products in motion. We are also planning pages for Internet Horse Sales and Used Tack Sales. You might find a blog by Marna and or photos of her own new equine here. Have a look around the website as it grows. We Hope to have something of interest for every Equine Owner and or Lover. The contents of this page for "Front Page" will be ever changing. Please check back. PLEASE NOTE: THE CONTENTS OF THIS WEBSITE ARE OPINIONS OF HOW EQUINE EQUIPMENT WORKED FOR US (several testers) ON OUR OWN EQUINE. WE CAN NOT AND WILL NOT BE HELD RESPONSIBLE FOR YOUR OWN EXPERIENCES. WE DO NOT MAKE OR SELL THE ITEMS WE TEST. WE DO NOT KNOW YOU OR YOUR EQUINE'S TEMPERAMENTS OR PERSONALITIES. WE CAN NOT SEE HOW YOU ARE APPLYING THE ITEMS YOU HAVE PURCHASED. WE HAVE NO IDEA OF YOUR EQUINE EXPERIENCE. ALL SALES, DEALS, AND RESPONSIBILITIES LAY BETWEEN YOU AS THE BUYING AND THE PEOPLE YOU PURCHASE THE ITEMS FROM. AS MY HUSBAND ALWAYS SAYS, "THERE IS NO MAGIC PIECE OF EQUIPMENT OR TACK OR BIT THAT WILL FIX A EQUINE THAT JUST NEEDS MORE TRAINING."